Kenneth L Bradley was a very loved man. Even as ornery as he was, we all loved him. He lived in the same house with his wife Diane C Bradley (Kangas) and his two boys Jeffrey and Richard for 41 years. He was a hard working man until he was forced to retire due to Diabetes, but it never stopped him from doing all that he loved, especially telling others how to do things the ''right way". He loved his wife Diane very much and they enjoyed going on many vacations, the last of which were to Australia and a cruise to Alaska. 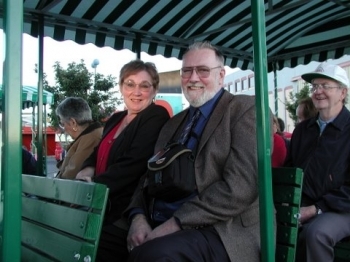 Those were the last trips that Ken and Diane went on before we lost Diane to Cancer in 2004. Since the death of his wife he then devoted his time to his children and grandchildren, which were the apples of his eye. He loved to tease with his grandchildren and spoiled them rotten. His family was always important to him and he liked to entertain and be around family and friends. He loved to go to his summer property, which was lovingly called "The Lot", every chance he got. 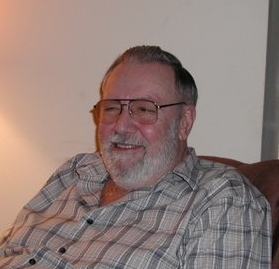 He had many hobbies and interests some of which were electronics, computer games, movies, and animals. He is survived by his two sons Jeffrey and Richard Bradley, his daughter Javida, son in law Drew, daughter in law Kimberly and his grandchildren Daniel, Christopher and Amber, and numerous other close friends. We are sad to see him leave us but rejoice in the fact that he is reunited with the love of his life, his wife and our Mom, Diane. Please feel free to sign his guest book by clicking on the link to the right. Memorial services will be held April 5th, 2008 at University Lutheran Church in the main sanctuary at 11:30 A.M. 1604 NE 50th ST Seattle WA 98105.